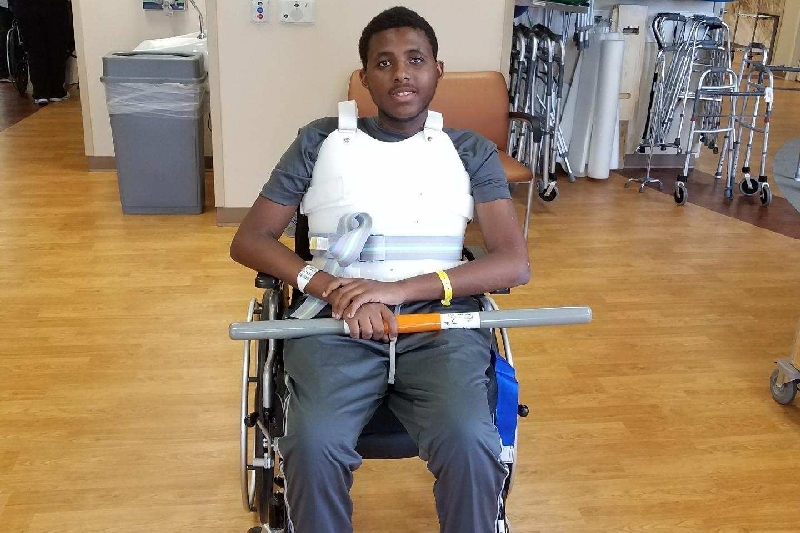 Fundraiser by Lathaniel Jordan : "Stand by Marquis Medical Fund"
"Stand by Marquis Medical Fund"
Marquis was attending college in Michigan as a freshman when he suffered a tragic accident in which he fell from the fourth floor of his dorm on April 28, 2017. We are so thankful he survived! As a result of the accident, he suffered multiple broken bones in his spine and ribs. He was airlifted to a hospital in Grand Rapids, MI where he was in ICU. He’s endured multiple surgeries and lost a lung. He’s going to need continued medical treatment which includes rehabilitation and is currently unable to walk but is making slow progress although he is constant pain. 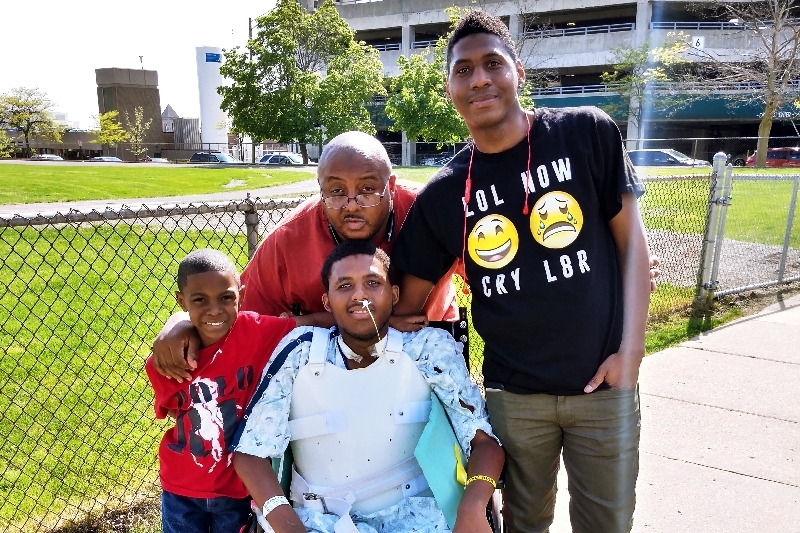 Since Marquis is from Illinois, our family has been dealing with traveling from Chicago, IL to the hospital located in Grand Rapids, MI. His mother has been staying in his room by his side since the accident. Your donation would help with mounting medical bills, rehabilitation costs and family travel expenses. We are so grateful that Marquis is improving and he really needs your financial support and prayers at this time. Before the accident, Marquis was vibrant and involved in Martial Arts, swimming and other activities. 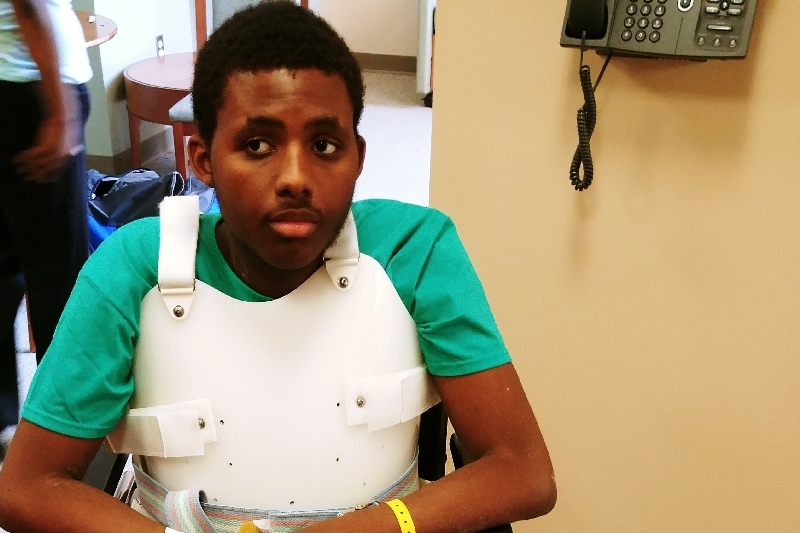 We want Marquis to have a chance to live his life to fullest! He is so loved and we appreciate everyone’s help with medical expenses and ongoing recovery. This is a picture of Marquis’ first day at Central Michigan University! We finally about to get some medical service in Chicago but we still have a long way to go on therapy and healing and continued prayers and blessings are appreciated.. 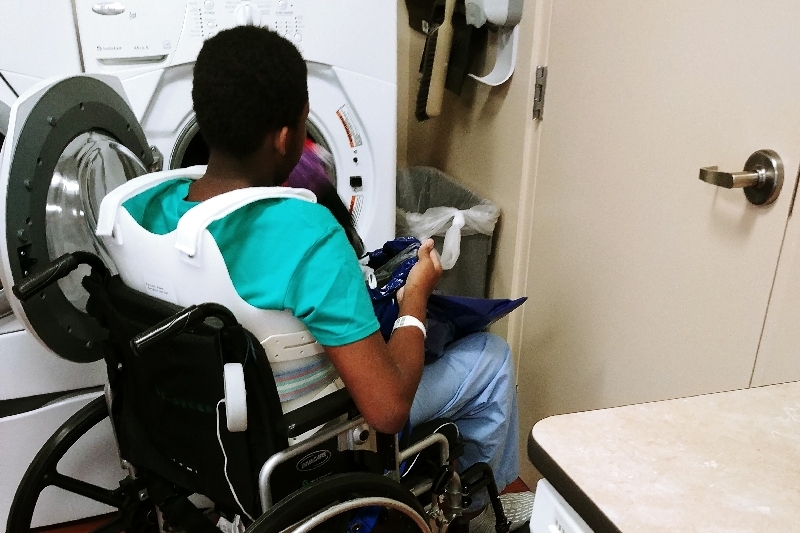 Here's Part of Marquis Rehabilitation is to relearn how to be self sufficient by putting his clothes in the washing machine by himself. Baby steps to recoving. This is Marquis in rehab today he's making good progress. Marquis getting some fresh air with us.